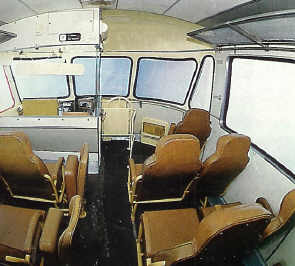 Besides to passenger traffic by bus, the Renault company also played an important role in the conveyance of passengers by rail. Back in 1913 Louis Renault already used car engineering for rail traffic. Towards the end of WW I many small railway lines were insolvent, due to a lack of passengers. 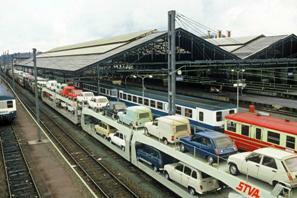 Renault came with a solution: replace the trains by diesel engine coaches and diesel trains. 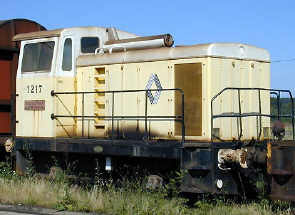 The type KA was Renault’s first diesel engine coach. First used in 1922 it was supplied with a 30 hp motor, built on the chassis of a truck and able to transport 20 passengers plus the driver. 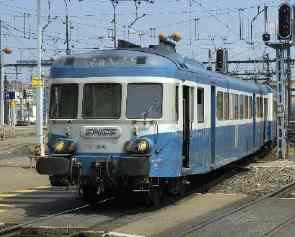 Fast, reliable and comfortable: this new means of transport was a resounding success. 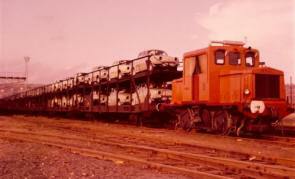 Subsequently, the constructor developed a 12-cilinder/250 hp diesel motor. 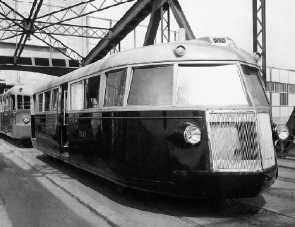 In the early thirties the double-cabined motor coach, normally on the line Paris-Lisieux-Trouville, was equipped with a new motor. Now it could cover 559,23 miles a day. In 1935, the diesel motor coach broke speed records on the section Paris-Strasbourg by reaching an average speed of 85,75 mph , with peaks of 101,90 mph . 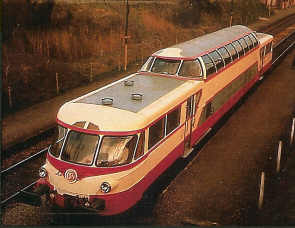 The coach was driven by a 500 hp 16-cylinder motor, built by Renault, and it could reach a much higher speed than the traditional train engines. 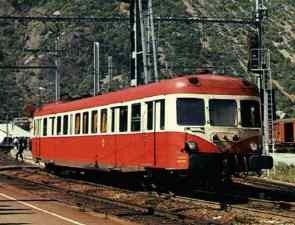 Within the fifties Renault completed the research for the development of a panorama rail car, for the first time in history built with synthetic building materials to make the car less heavier, to increase the car’s performance and to optimize the soundproofing. 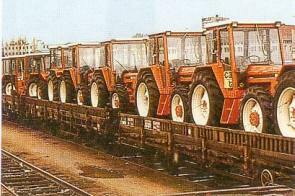 The first vehicles were put into use in 1958. The last diesel motor coach leaves the belt in 1963. For 60 years 1100 of these coaches have crossed the railways, some of them covering more than 3 million kilometres.